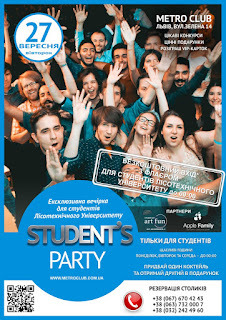 METRO Club Lviv: 27 September - Student's party for National Forestry University. 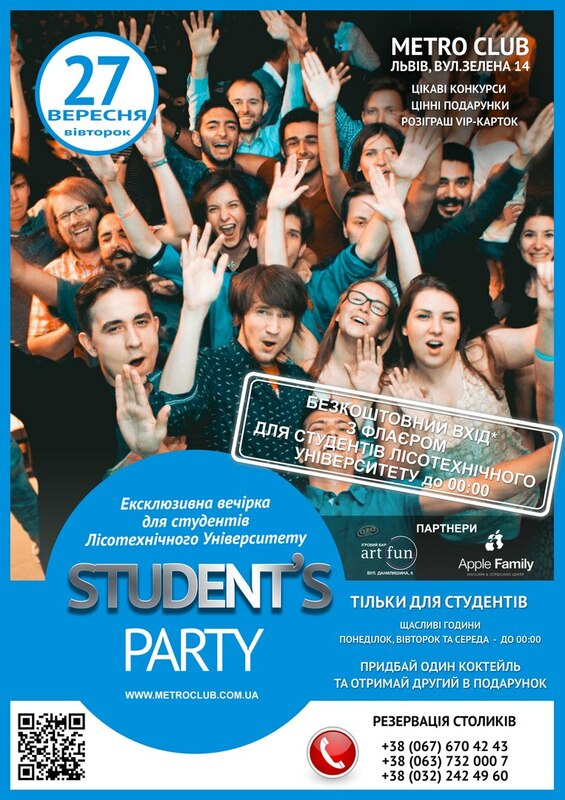 27 September - Student's party for National Forestry University. НАЯВНІСТЬ ДОКУМЕНТІВ, ЩО ЗАСВІДЧУЮТЬ ВІК ТА ОСОБУ - ОБОВ'ЯЗКОВА!!!!! It's obligatory to have the documents which verify your age and identity!!!! !